The NARS Sheer Glow Foundation has had my attention for some time in the past. Apart from all the mocking and misleading claims from bloggers, I personally leaned down towards NARS sheer glow after trying the all day luminous powder foundation by NARS, that has deeply impressed me with its finishing, coverage and staying power. Though I was bit cautious before applying the foundation to my sensitive skin, the level of excitement and anxiety pampered me to give this product a good try. It has been two weeks since I started using Nars 'Punjab' Sheer Glow foundation and trust me this product has a supernatural effect that manifests itself to be the perfect canvas for your skin. If you are really tired of wearing makeup to fake your imperfect skin then this foundation is an ideal prospect for you. 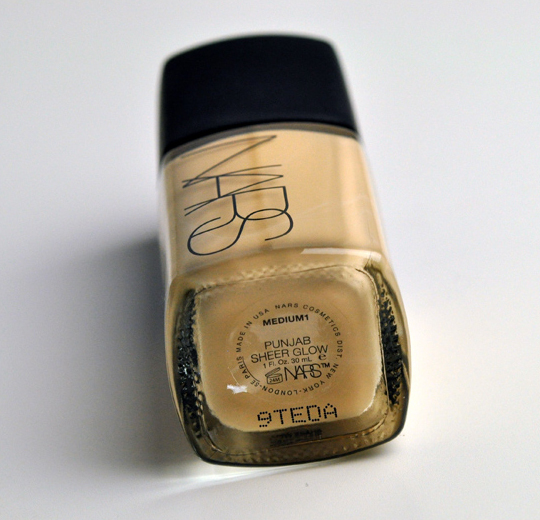 Here is the complete review of this foundation in 'Punjab shade'. Nars sheer glow foundation comes with 20 kissable shades. These super-enriched and heavenly shades can easily manifest with both pale and darker skin complexions. 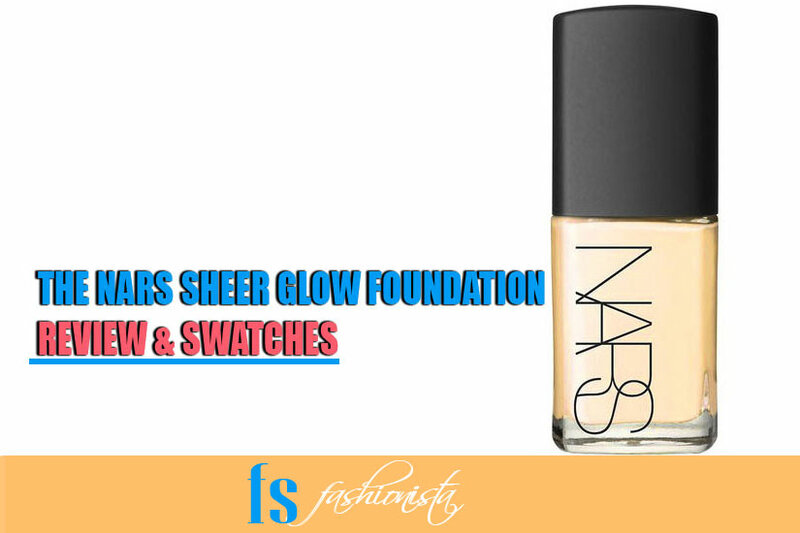 To compliment my skin tone, I chose Nars Punjab sheer glow for its warm and luscious golden peachy undertones. This medium shade blends like a dream on my skin keeping me from wearing additional color-correcting primers to restructure my uneven skin. If you like wearing cooler undertones, I’d definitely recommend these golden peachy hues from Nars as they fuse superbly and blend seamlessly with the texture of your skin. 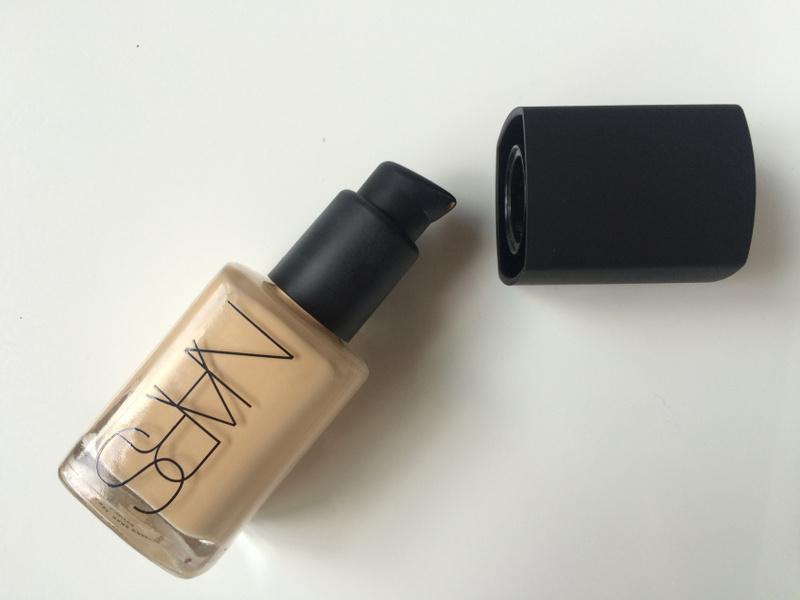 Nars Sheer Glow foundation comes with a simple but not-very-stylish packaging. The product comes in a compact glass bottle with a sleek black lid on top. Though the square bottle is compact and travel-friendly but its small size and glass material makes the bottle less sturdy to carry and handle. What I really dislike about Nars Sheer Glow is the unavailability of pump top; it is not just painful to squeeze the product but also ends up spilling or running the product through sides of the bottle. In case if you are willing to buy a pump top, visit the Nars website and pay extra €4 to relieve yourself from the wasting the product at the time of application. 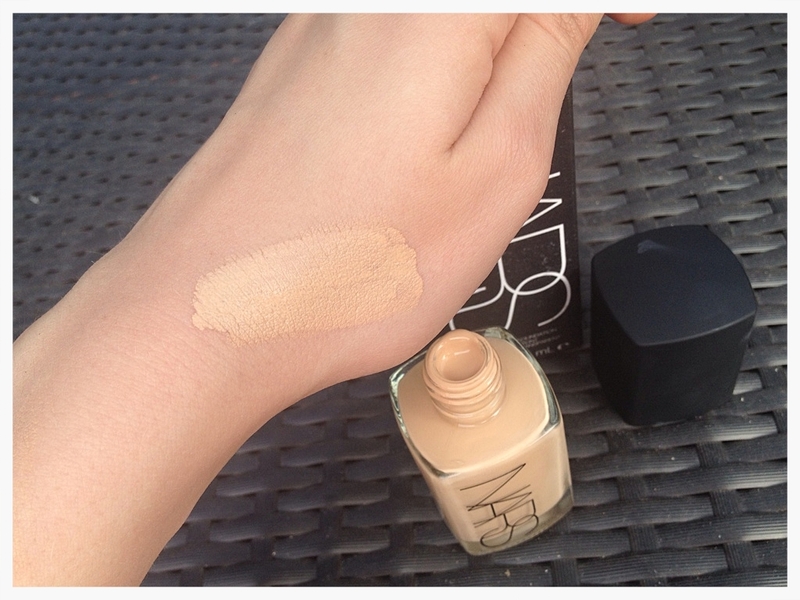 Considering the texture of Nars Sheer Glow, I’d say the foundation contains a thin watery formula. Though Nars sheer glow is the water based foundation that definitely gives a refreshing and rehydrating feel on dry and cakes skin but if you have a mix of dry and oily skin, then this foundation can end up being on the runny side. 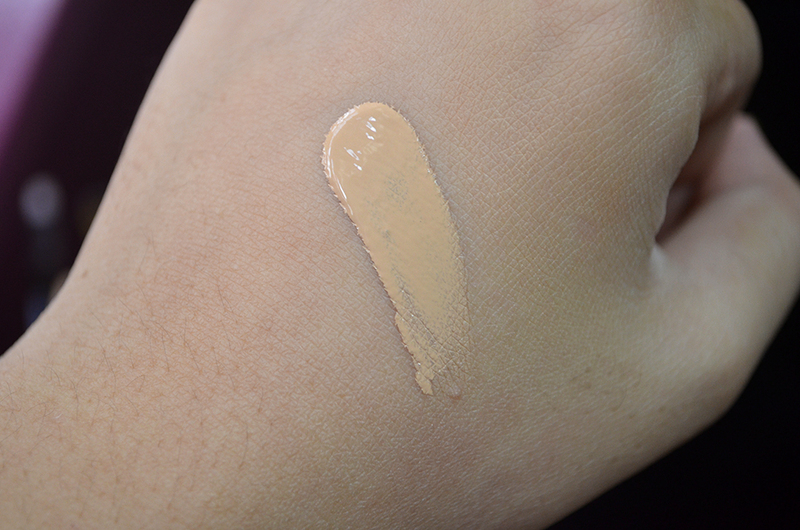 Apart from the consistency, the texture of foundation is like butterscotch; a bit non-greasy but superbly enriched with micro-particles that glide smoothly and evenly on my skin. I just love applying this foundation due to its volumizing effect on my skin. Though its water based texture takes a little extra time to settle but its voluptuous and weightless texture doesn’t give you a feeling like you are wearing a foundation at all. For best results, I’d recommend you to use Sigma F80 brush if you’re willing to add extra-volume and definition on your skin. Apart from all the faves, I must say that the finish of Nars sheer glow is one tragic downside. Its consistency is more like a mixture of peaches and cream which does not settles down comfortably on my skin. Though you’ll need to wear a primer to even the pastiness but once it settles down it gives your skin more soft, supple and smooth surface with a luminous finish. Also, the Nars sheer glow does offer a twist of texture to all the women who love satin finish. In case if you are one of those prone to both dewy and matte finish, then don’t forget to wear this foundation without a primer. Why? Because if you do, the foundation will settle in your skin pores and facial lines making it appear drier, cakey and flakey from outside. Truly, the coverage of Nars sheer glow is somehow the only thing I admire the most. Its lightweight formula gives an extended coverage on my skin that is medium-to-full; not fully opaque but still, the foundation stays longer than usual on my skin. As I mentioned earlier, the Nars sheer glow is a water-based foundation so make sure you’re wearing the right consistency especially if you’re having a hard time covering the most visible flaws of your skin. Since I’ve read bloggers favoring the fact that Nars sheer glow is a foundation with a skin perfecting formula, well it is. But! The truth is that wearing a primer or concealer to achieve the desired coverage or beloved texture will definitely annoy you if you’re just out of time to attend an occasion. I must admit that Nars Sheer Glow is an impeccable foundation that would suit almost all skin types. Since all water-based foundations blend superbly with dry skin, therefore I thoroughly recommend Nars sheer glow to women having more dried out skin. It blends seamlessly and glides superbly if you’re wearing it on your dry skin. But! If you have a combination of dry and oily skin, I must suggest you to use, a primer to single out the blemishes and dry patches on your skin. However if you have too dry or too oily skin, then this foundation might not just work out for you. After wearing this product for a week, I am starting to believe that this foundation can last longer than I imagined. Its long lasting liquid formula not just blends superbly but gives you can an extended coverage of more than 6-8 hours. 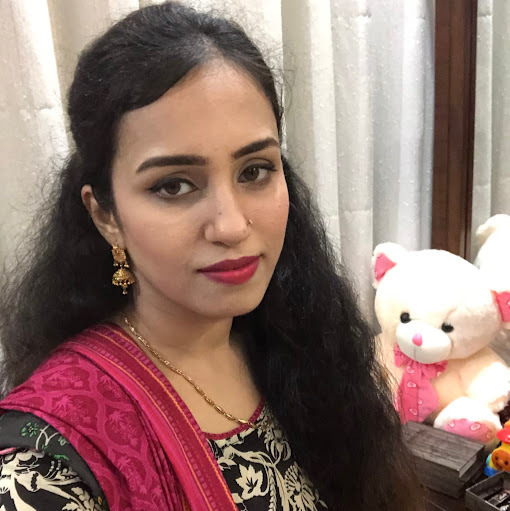 At first point didn’t believe that adding a powder can really affect the lasting power of the foundation but when I complimented Nars Sheer Glow with Hourglass Ambient Lighting powder, it blended like heaven on my skin. As they say, every right thing has a price but with Nars Sheer Glow foundation I might not be glad about this expression. One single bottle of foundation might cost you Rs. 5,000 on retail that is unquestionably a setback. Either if you are a spendthrift and like spending every dime on your makeup collection, then you should definitely go for it. Alternatively,! If you are a frugal shopper or having a tight budget, then I’d suggest you to compare the prices online. It will not just save you a few dimes but will also help you pick your desired shade at competitive prices. Lastly, if I have to describe my experience with Nars Sheer Glow, then I’d say it has been more like a love-hate relationship. Another thing that I want to add is that in the beginning, you might face some problems settling down with the product, but when you’re familiar with the texture, finish and the consistency to attain the coverage, you will definitely devote your time in wearing this foundation over and over again. I would recommend Nars sheer glow foundation over the Revlon Photoready foundation anytime, because it has the superb ability to reverse the visible flaws of your uneven skin. It has a powerful yet gentle formula that not only blends seamlessly, but its natural, buildable coverage instantly conceals and restructures all the frustrating blemishes on your skin. I would rate this foundation 8 out of 10. Since I shared my experience with Nars, I would dearly love to hear what you girls have to say about this impeccable product. Hope you ladies will leave your precious comments below as I am not just willing but raring to hear more about your experience with Nars.